Session Fees: 1 Hour - $159, 90 Min - $210, for individual counselling services. We have several therapists available to work with! Package pricing for multiple sessions available. Call today for your FREE Discovery Session. I support people in finding meaning, courageously healing and powerfully thriving. I can safely lead you to transform sadness and fears into self-love, inner compassion, and confidence. I lead the way, but you find the answers. The path is cleared for your own intuition and insight to awaken. I infuse creativity and mindfulness with traditional evidence-based therapy techniques to help you and your loved ones heal. You’ll learn tools to help you grow and flourish towards the life of your dreams. To heal, transform and support women through their expansion, moving beyond fear so they can gracefully step into a radiant life of their creation. Connecting women back home to the ancient rhythms, sacred cycles, and innate wisdom within our bodies, nurtures soulful, open hearted living. By courageously honoring all of ourselves, shining light on what has become disowned, we lovingly restore inner balance, uniting us with our entire being. From a place of inner acceptance, we positively affect the flow of everything surrounding us, nourishing our relationship with sacred harmony. We believe in an approach as unique as you are. Through compassion and deep healing, we honour each journey using a feminine embodied approach to healing. We believe that sacred wisdom lies within all of us, but sometimes we just need to let go of the mind’s knowledge and come back into our body for guidance. For more than 16 years, I have helped hundreds of clients like the woman in the above testimonial. As the founder of Wisdom From Within Holistic Wellness Centre, and a Master of Marriage and Family Therapy (MMFT) therapist, I have provided mindful therapeutic experience, workshop facilitation, supervision, and exceptional community care to hundreds of clients like the woman in the above testimonial. Time and again, my clients share that my therapy provides them with a nurturing, safe space to be heard and asked the right questions, allowing them to go deep within themselves to discover their own personal wisdom. Wisdom from Within is also pleased to offer other alternative therapies via our fellow holistic counsellor, Sophie Brunet. 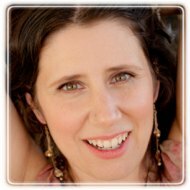 Sophie is trained in many unique specializations including Art Therapy, Intuitive Massage, Mindfulness, and Tantra. Alongside her one-to-one clinical therapy practice, Sophie is also a facilitator leading private couples workshops and women's groups, known as "Awaken Confidence in Intimate Relationships". I want you to know your true worth. To feel your beauty and stand strong in your power. I want you to love your body, honor your space, your unique rhythms and your time. To know what incredible offerings you bring to this world just by being you. I want to help you to tell your story, to reshape and realize a new, improved vision of a life well lived.